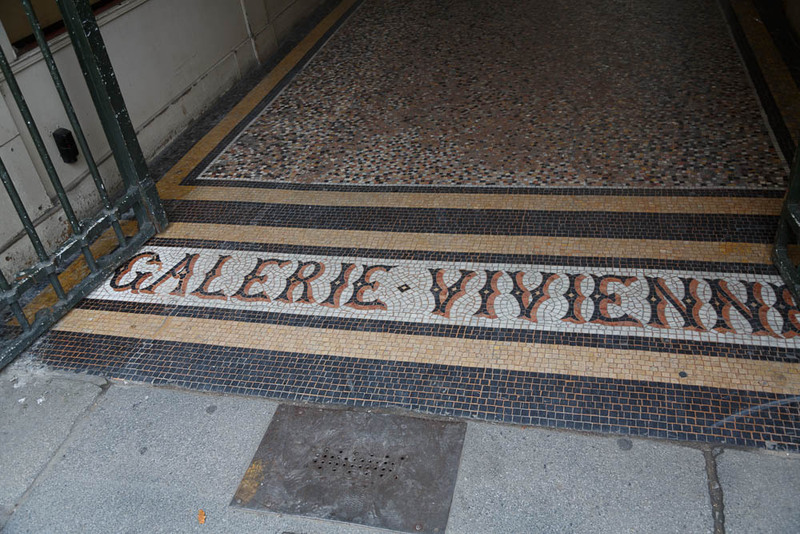 The Galerie Vivienne is a passage in the second arrondissement of Paris, France. It is 176 metres (577 ft) long and 3 metres (9.8 ft) wide. The gallery has been registered as a historical monument since 7 July 1974 1). The gallery was built in 1823 by Marchoux, President of the Chamber of Notaries, at the location of the Vanel de Serrant hotel and the Petits Peres passage. It was based on plans drawn up by the architect Francois Jean Delannoy. Inaugurated in 1826 under the name Marchoux, but soon renamed Vivienne, the gallery took advantage of its unique location. It attracted many visitors with its tailor shops, cobblers, wine shop, restaurant, Jusseaume bookstore, draper, confectioner, print-seller and so on 2). Located between the Palais Royal, the stock exchange and the Grands Boulevards, the passage enjoyed considerable success until the end of the Second Empire. But the gallery lost some of its appeal with the move of the prestigious shops to the Madeleine and the Champs-Élysées, and particularly because of the Revolution caused by Georges-Eugène Haussmann. The gallery has been the scene of interesting events. The monumental staircase of No. 13 led to the former home of Eugène François Vidocq after his disgrace. The convict had become chief of a police squad made up of former criminals 3). 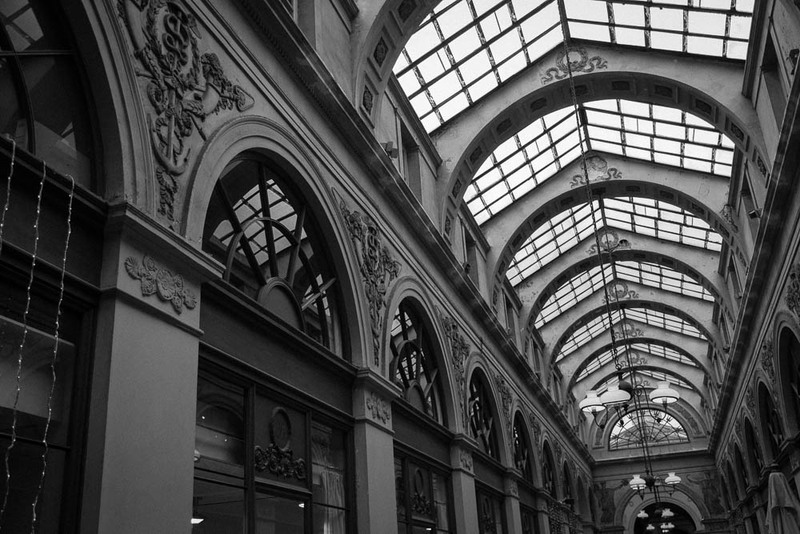 There has historically been competition with the nearby Galerie Colbert. Since 1960 the gallery has once again become very active. It features fashion and home furnishings, and haute couture shows held there. The installation of Jean Paul Gaultier and Yuki Torii shops in 1986 helped with the resurrection of the gallery. It now houses many shops selling ready-to-wear and decorative items 4). During one of the dreams of Kârinh she finds herself in arcade looking a lot like Galerie Vivienne 5).